Are you tired of the city life? Do you want to have some peace of mind and at the same time enjoy the majestic landscapes of nature? Maybe now is the time for you to leave the city for a while and explore places you haven’t visited before. If you are into nature tripping and want to experience the wonders of nature, come and visit these five natural wonders of Qatar! Al Thakira Mangroves is a large area of vegetation of Avicennia Marina, also known as the grey mangrove or white mangrove tree. Located at the north of the seaside city of Al Khor, this natural wonder is notable for attracting varied bird life including flamingos and herons. In addition to that, the mangroves present a large expanse of natural greenery that is in sharp contrast with its surrounding desert landscape, making these mangroves more attractive to its viewers. The best way to explore the mangroves is by kayak. Several tour operators and specialist companies offer morning and afternoon kayak trips and these trips can be booked in advance. You can also access the mangrove by land through Al Khor to Al Thakira Road leading to an off-road track smooth enough for land vehicles like sedans to make it through to the mangroves’ waterfront. 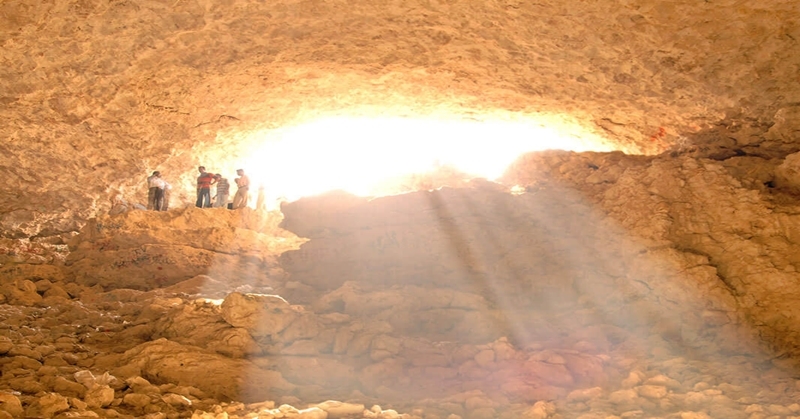 The cave of Dahl Al Misfir is regarded by the visitors as one of Qatar’s most vividly exciting destinations. This 40-meter cave gives off a faint, moon-like phosphorescent glow resulting from the gypsum deposits found in the center of the peninsula. The site is surrounded by a chainlink fence for safety reasons. The cave is open to all visitors for free! The rock formations of Ras Abrouq are located at the west coast of Qatar. These rock formations sculpted by the wind create a lunar-like landscape that attracts plenty of tourists and residents as well. 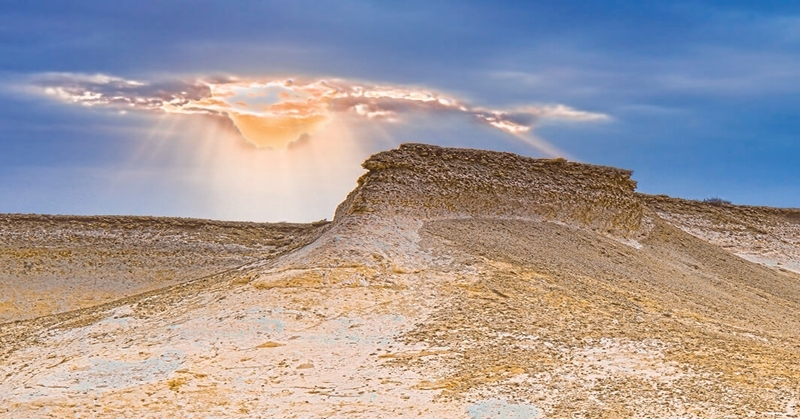 If you want to see a better view of the Qatar peninsula and take pictures of the spectacular sunrise or sunset, you may climb these rock formations. The area is also a great spot for picnics and overnight campings. 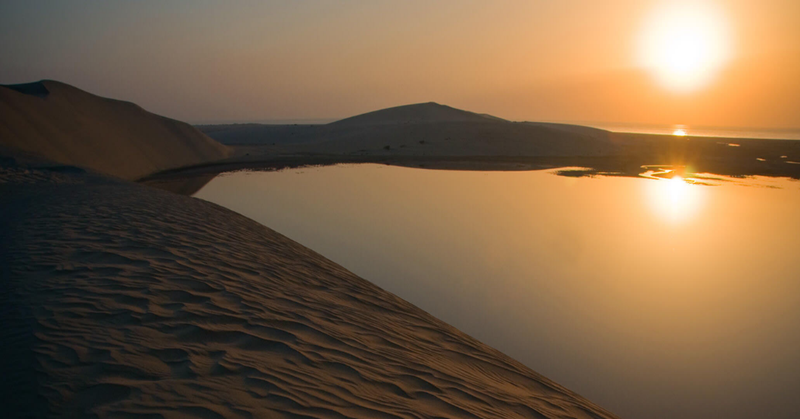 The stunning dunes of Qatar are major attractions to tourists because of the spectacular landscape. The largest area of Qatar’s sand desert lies on the southwest part of its capital (Doha). This area of sand dunes is the ideal destination for people who are inclined to recreational safaris and for people who are looking for a unique environment for family picnics. The scenery on the desert changes as the time of day and light conditions change. The best time to visit is during sunrise or sunset due to the breathtaking color effects the sunlight creates with the landscape. Also, stargazers will surely love the clear night sky. Local stores are available en route so that tourists can purchase supplies before heading to the desert. 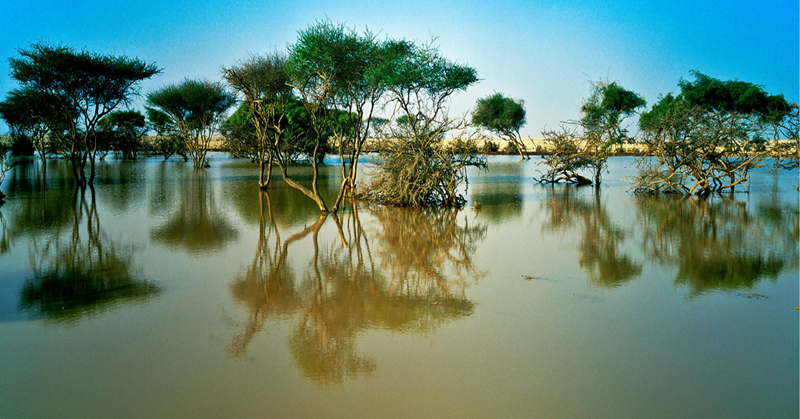 Due to its desert climate, Qatar has a limited variety of flora and fauna. However, after any rain, Qatar’s desert blooms with greenery. Qatar provides a superb habitat for various wildlife species including birds and reptiles. 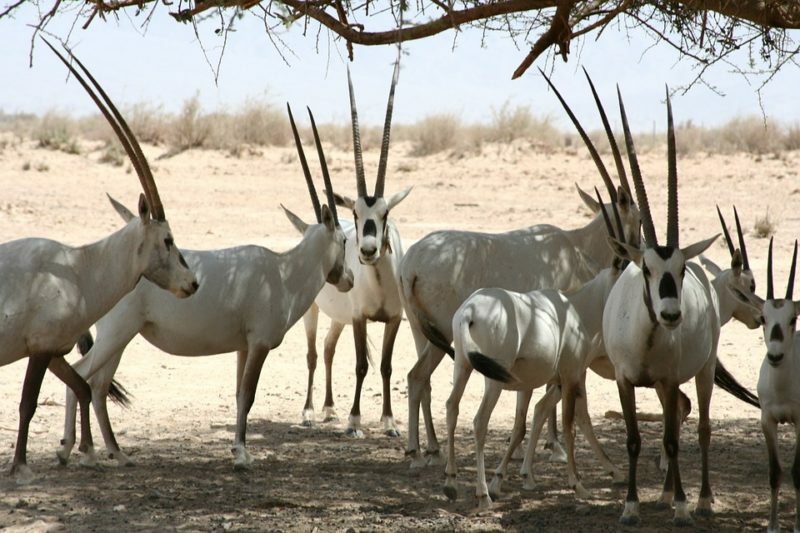 The Arabian Oryx, Qatar’s national animal, was said to be extinct in the 1970s, but an ongoing breeding program has led to its reintroduction in the 1980s. Other creatures found in the wild are foxes, jerboas, and reptiles. Various resident and migratory bird species including flamingos can also be found in Qatar’s greeneries. Meanwhile, in the waters around the coast of Qatar is the largest native mammal, the dugong. Aside from that, visitors can also enjoy visiting camel and horse farms in Doha, Qatar’s capital. Qatar is surely a rich country not only because of its economy, but because of its beautiful scenery that is naturally made! Visit these five natural wonders of Qatar, and you just might have the most relaxing and peaceful vacation of your Qatari life!